A pope and a Russian Orthodox Patriarch will meet for the first time in 1,000 years. 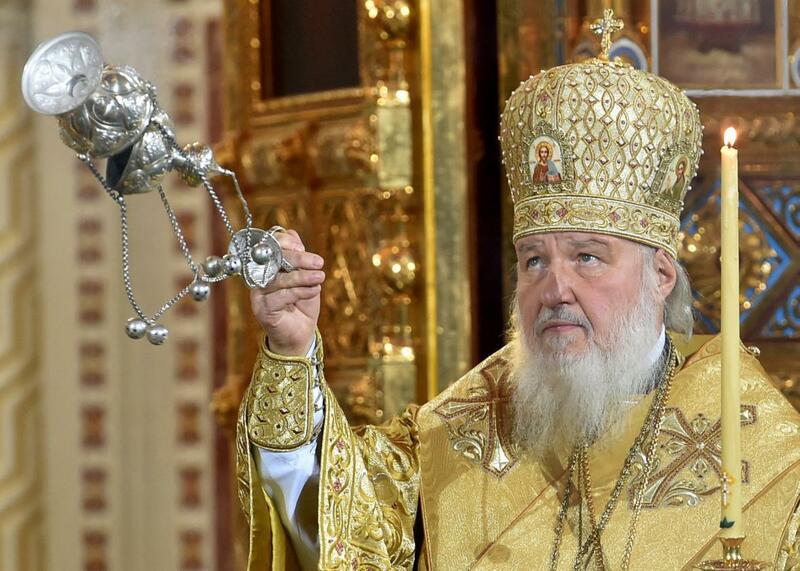 Russian Patriarch Kirill celebrates a Christmas service in Christ the Savior Cathedral in Moscow early on Jan. 7, 2015. The heads of the Catholic and Russian Orthodox churches will meet for the first time since the Great Schism of 1054, it was announced on Friday. About time! The historic meeting will take place next month at, of all places, the Havana airport. Pope Francis is stopping over on his way to Mexico while Patriarch Kirill is making an official visit to Cuba. The meeting reportedly comes after two years of diplomatic talks between the estranged churches. According to the Orthodox Church, it was prompted by the need to craft a joint response to the persecution of Christians in the Middle East and Africa. One big obstacle to that goal is the Russian Church, which accounts for two-thirds of the world’s Orthodox Christians. (Unlike the Pope, Bartholomew has little real authority over churches in other countries.) The Russian church has been at odds with the Vatican on a number of contentious issues, most recently the Greek Catholic “Uniate” Church in Ukraine, which it accuses of attempting to poach Orthodox converts in the midst of that country’s civil conflict. Francis, meanwhile, has disappointed some Ukrainian Catholics by not taking a tougher line against Russian actions in the country. The church is experiencing something of a revival in Russia, with the strong support of deeply religious President Vladimir Putin, who has woven religious themes into both his domestic and foreign policies and brought other devout figures into his inner circle. Kirill is generally seen as close to the Kremlin. Francis has met with Putin himself several times, including a somewhat awkward meeting last summer that the Russian president turned up to an hour late. There’s some speculation that the meeting with Kirill in Cuba could be a prelude to a papal visit to Russia, something that has never happened before in large part due to the Orthodox Church’s concerns about evangelization. The late John Paul II had made healing the rift between the churches a major focus of his late papacy and said often that he dreamed of being able to visit Russia, but never got the chance.